THANK YOU so much for everything today, Molly Halbert and Arlette Von Canon! We had a great time at Mason’s Red Wagon Project Superhero Fun Run! Thank you for supporting Archangel Alliance! The donations received were far more than we expected and we appreciate all of you! Ready to exercise for a great cause?! With the donation of one non-perishable item to Mason’s Red Wagon Project, you will be able to participate in the Mason’s Red Wagon Superhero Fun Run! 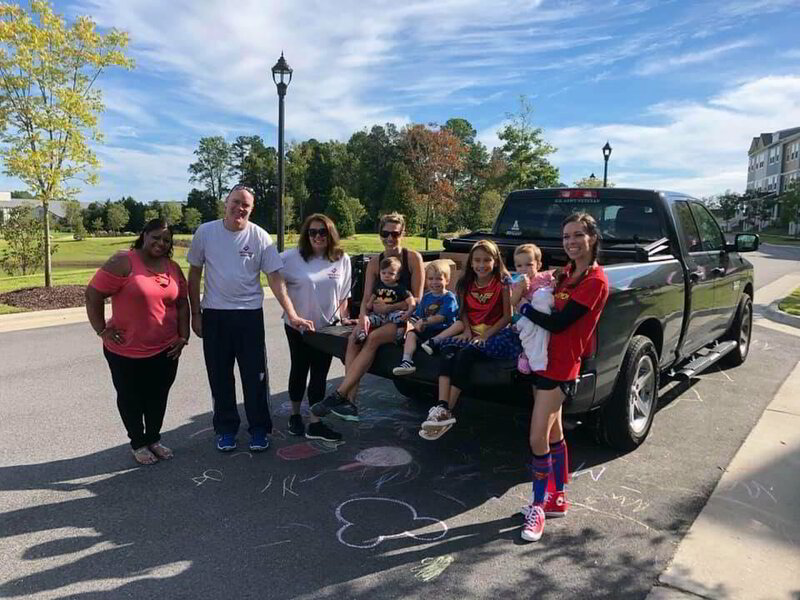 On September 29th at 8 am, Molly Halbert hosted a fun run around their neighborhood, 5401 North, dressed as SUPER HERO’s! Donuts, coffee, and water were provided during and after the run!